The Kennedy Assassination…the Man in the Pergola. I believe that the Orville Nix film contains a view of at least one of the assassins of John Kennedy. Take a look at the activity in the Pergola. The stabilization and enhancement of this film has yielded dividends. Click on the x on the movie above to enlarge. Take a look at the upper right in the circled area and you can see that the activity is following the Limousine’s progress from behind the Pergola. Hello, I’m M.K.Davis. I’m from a small town in Mississippi called Benton. Not a lot goes on here, but my connection with the world is not so much in events occurring now, but, rather in events that have occurred in the past, through the medium of film and video. I am an amateur astronomer. My astronomy began before the digital age when film was the medium. Astrophotography requires long exposures of very faint objects while the object, being subject to the movement of the earth, trails across the firmament, with the telescope following it to give the sharp image. Processing film with a view to extrapolating faint details is what I got good at and it carries over now into the digital age. Even though I’m known for my work on crypto zoological film and video, I have also spent a great deal of time working with iconic films from other events. This is November, and the anniversary of an event of another sort is fast approaching. This would be the assassination of President John F. Kennedy in Dallas Texas on November 22, 1963. I have been privileged to have worked with good copies of several of the films taken of that event. When I say “worked”, I mean that I took the film apart on a frame by frame basis. I removed lens defects and then reassembled the film, being careful to fully align frames so that the film is stable and all hand motion from the photographer is removed. The films taken that day are not just home movies. These films are records of a monumental crime. I don’t consider myself an assassination researcher, but there are certain things that stand out about the circumstances surrounding the film and the people involved. When I look back at some of the findings of the investigators of the day I wonder how did these ones skip over certain evidential facts that, to me, even as a layman, beckon the eye and the mind to look deeper, and with objectivity into the tragedy, neither looking to the left nor right but straight ahead into the shifting sands of time. Not everything can be known about this event, as it lies at the bottom of very muddy water. 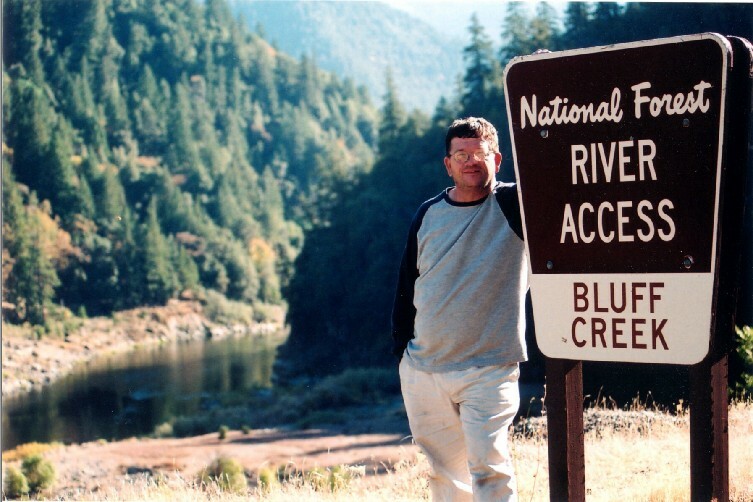 Muddy water often provides a person their own personal opportunity to solve the mystery. Most people like their mysteries dark and unilluminated. If there is light to be shed, then, the facts or truth begin to flocculate the mud and the water gets clearer. Then panic sets in, not only with person’s involved in the crime that might still be living, but also in person’s who might have invested themselves into the solution for whatever reason. The improvements to film have been my task, but in doing so, a learning process of another sort begins and some things get to be whoppingly obvious. If a person was trying to figure out “who done it?”, a basic block diagram of the event would prove to be useful. The ultimate goal would be to figure out who, both individually, and also any sponsorship that might have pushed this event into happening. Here’s an interesting fact. Did you know that Abraham Zapruder was Ukranian? Did you know that his former Boss Jean LeGon was Russian? Did you know that Jean LeGon married a Russian named George DeMorenschildt? Did you know that Abraham Zapruder had his office in the Daltex building across the street from the Texas School Book Depository? Did you know that the CIA allegedly had a dummy oil business set up there in that same building? Did you know that a man named George DeMorenschildt at one time baby sat Jackie Beauvoir? Did you know that George DeMorenschildt was a petroleum geologist? Did you know that George DeMorenschildt’s father was the Russian equivalent of “Mayor” of Minsk Russia. Did you know that Lee Oswald lived and worked in Minsk during the days of his defection to Russia? Did you know that George DeMorenschildt and Jean LeGon befriended and then sponsored Lee Oswald in the time period leading up to the assassination? Did you know that George DeMorenschildt was responsible for the relocation of Lee Oswald to Dallas from Ft. Worth, and also was responsible for Lee Oswald’s employment and income. Did you know that George DeMorenschildt won an oil exploration contract with the Haitian government before the assassination and was out of the country when it occurred? Did you know that George DeMorenschildt committed suicide after being asked to testify to the House Select Committee on Assassinations? This list goes on and on. What is even more remarkable about it is that it is public knowledge. Why would any government investigator worth his salt, NOT suspect the Russians in this assassination scenario? Even if they didn’t do it, there is enough here to suspect that they could have, but this was immediately ruled out. I can’t get into anyone’s mind but there had been a stand down involving Nuclear weapons in Cuba just thirteen months prior, and then all these Russian names and players? Draw your block diagram. Pencil in “Russian Involvement Possiblities”. This the official investigation did not do. Like I said earlier, I don’t consider myself a JFK researcher. I am a concerned citizen. I was in the third grade when the teacher announced the death of the President. I find it disturbing that there are so many loose ends about something that occurred in broad daylight in front of so many people. There were many casualties in the many wars that the United States has fought and head wounds are well known including the ballistics that cause the damage. Why was this treated as if it were the very first time that anyone had seen a wound such as this? A film taken close up of the fatal shot should yield sufficient data to determine direction at least? Yet…arguments continue on to this day about it. People roll their eyes when the idea of a conspiracy is brought up concerning the Kennedy assassination as if there could be no such thing. The Lincoln assassination investigation uncovered a broad conspiracy that resulted in multiple hangings in addition to the killing of John Booth. Here comes the question again…why would a conspiracy NOT be considered concerning the Kennedy assassination? Only a casual look into the matter and one realizes that this event is a conspiracy buffet with hundreds of choices. It only takes two to form a conspiracy. Who done it might better be asked “Who all did it”? Once again…a picture is worth a thousand words. There were many people there that day that had cameras both still and cinematic. It was a brilliantly lit scene and the photographers were allowed close. With all that recording, not much actually came of it. The Abraham Zapruder film shows the event rather clearly, but did nothing much to solve anything. It was not even made public until many years later. By that time frames were missing from it, and it was too late realized that people who screened the film had misdescribed what was actually happening on the recording. The famous journalist Dan Rather told the whole world that the president’s head pitched violently forward and that is what was believed…until the film became public fodder. It was this singular event in history that caused the American public to become jaded. We just didn’t think that our own journalists would mislead, or our own investigators would engage in subterfuge. Nearly everything about the assassination was strange and mysterious. The limousine was cleaned almost immediately even though it was considered a vital piece of evidence. 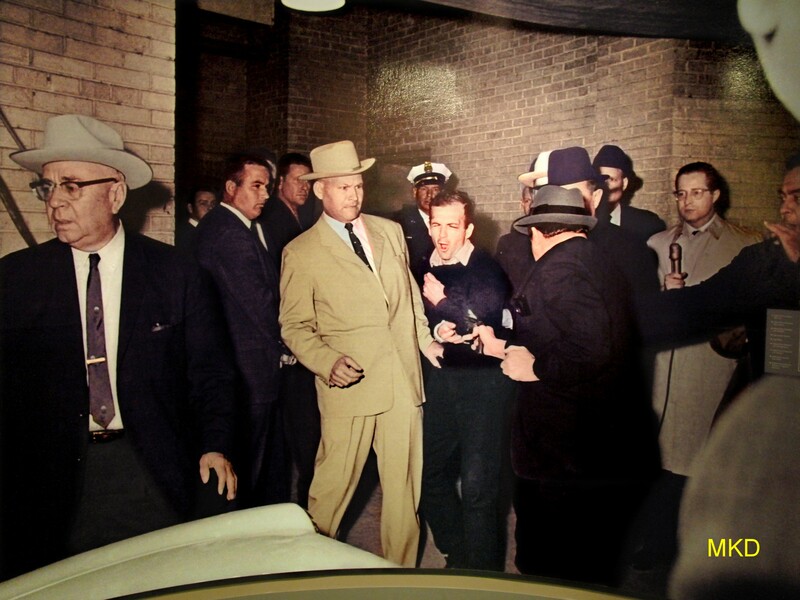 President Kennedy was taken from Parkland hospital by the Secret Service against the will of the Dallas Police Dept. Even though the Secret Service could or would not prevent the president from being killed, they clandestinely ushered him out of the hospital and onto Air Force 1 with the utmost skill and determination. There were different descriptions of the wounds from Dallas compared to the descriptions from Washington. Photos were taken of the autopsy, but hardly anyone believes the photos to be authentic anymore. I guess what I’m saying is that it’s a bigger stretch to believe that only one man wreaked all that havoc, than it would be to believe that it was a conspiracy. People known not to mishandle anything…mishandled everything on that day. In the interests of “moving on” it became acceptable that this happened in front of our very eyes. Things should have stopped until an acceptable conclusion that was believable could be reached with appropriate action. The Kennedy Assassination…A Review In Images. In this clip from the Orville Nix assassination film, the President’s head tosses violently back and to his left from the impact. At that same instant, the driver hits the brakes hard and actually throws the front passenger’s head into the dash or windshield. This is a close up of the shot to the head of President Kennedy. This is from the Abraham Zapruder film. This is a clip from Orville Nix’s assassination film showing movement in the pergoda to Abraham Zapruder’s left. This movement is in synchronization with the movement of the President’s limousine. The same clip as above without the delay. The killing of Lee Oswald colorized. In this clip from the Zapruder assassination film a large part of the head is propelled forward and away at the moment of impact. This would be a good indicator of the angle of impact. In this clip from the Orville Nix assassination film, a projectile pulverizes pavement immediately behind the presidential limousine. This clip from the Orville Nix assassination film shows people reacting to a bullet strike right behind the limousine and just to the right of the little boy. They no doubt heard the strike. A panorama of the assassination route made from the Orville Nix assassination film. This could be a reflection from something shiny but given the circumstances it must be included as a possible act. All testimonies aside, this is similar to what a gun flash would look like so it is on the table. 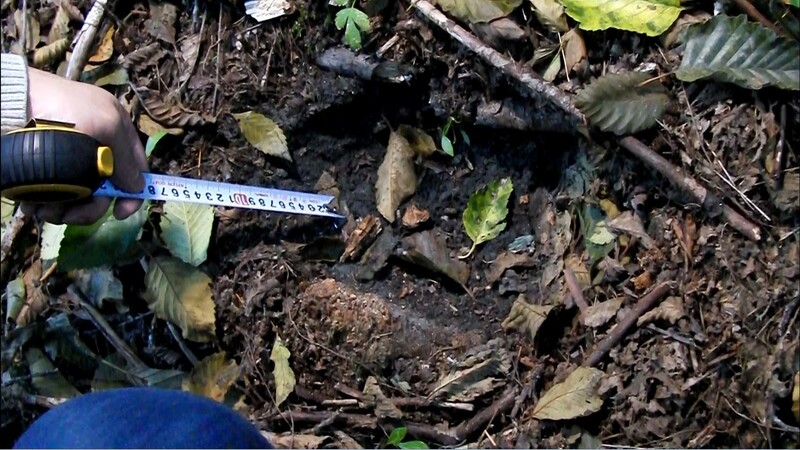 Bigfoot Tracks Found in Northern California. These tracks were found in Bigfoot Country in Northern California. What distinguishes these tracks is that there are secretions in one of the tracks that appear to be mucous. If the Bigfoot was sick then this mucous was blown out into the track. The person who’s hand is picking out the leaf litter is me. I wore no gloves and in my excitement I put my hand right into the mucous. By the time I got home I was already sick. I was violently sick for over two weeks and antibiotics had no effect on the condition whatsoever. Look for the mucous in this video.